Asian markets have reacted to The Hague's verdict in the South China Sea dispute, and China's consequent declaration that the ruling is "invalid." On Tuesday, the Permanent Court of Arbitration at The Hague in the Netherlands ruled against China in an attempted arbitration of the South China Sea dispute. The ruling was rejected as "invalid" by China, which prior to the verdict had already declared that it does not consider the tribunal to have jurisdiction in the dispute, which Beijing wants to solve by bilateral negotiation between the parties. On Wednesday, Chinese Vice Minister of Foreign Affairs Liu Zhenmin reiterated China's territorial claims in the South China Sea and said Beijing has the right to set up an air defense zone there. 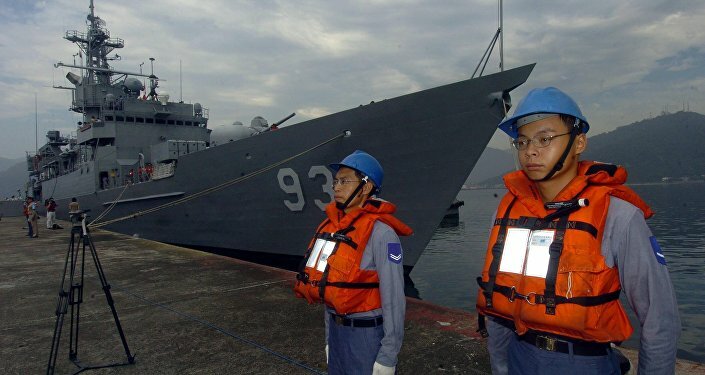 "Whether we need one in the South China Sea depends on the level of the threats we face," Zhenmin said. The potential for escalation of the dispute, including the prospect of China installing anti-air missiles in the South China Sea, has led analysts to predict rising fortunes for China's aviation and maritime industries. On Thursday in Shanghai, shares in the China Shipbuilding Industry Corporation were trading at 7.23 yuan ($1.08), an increase of 4.7 percent since July 11. On Thursday in Hong Kong, shares in China Aerospace International Holdings, the Hong Kong subsidiary of the China Aerospace Science and Technology Corporation, were trading at 1.04 Hong Kong dollars ($0.13), an increase of 8.3 percent since July 11. The rising tension in the South China Sea has also had an impact on the oil market, as industry players react to concerns that shipping transport across the seas could be affected. Following the verdict on Tuesday futures on Brent crude for September delivery jumped by five percent, more than two dollars, to close at $48.47. On Thursday afternoon in London, Brent crude was trading at $47.22 a barrel. Commenting on the court's ruling, Peter Hinchliffe, secretary general of the International Chamber of Shipping in London raised concerns that shipping may be affected. "It is vital that merchant ships are allowed to go about their lawful business on the world's oceans without diversion or delay. We will of course be monitoring for any interference in the coming weeks," Hinchliffe said, Oilprice.com reported. A highly contested region through which nearly $5 trillion international trade passes annually, the South China Sea is claimed by China, though there are overlapping claims by the Philippines, Vietnam, Indonesia, Taiwan, and Brunei. Manila, an ally of Washington which has US backing in the dispute, filed its case against China with the international court in January 2013, but the following month China rejected and returned the Philippines' notification about the court proceedings. In Tuesday's ruling, the court of arbitration declared that China has no legal basis for claiming historic rights to resources within the South China Sea's nine-dash line, used by Beijing for its claim over the major part of the sea territory. According to the tribunal, China also violated the sovereign rights of the Philippines in what it said was that country's exclusive economic zone. China has responded to the ruling by reiterating its rejection of the court case, and Chinese President Xi Jinping said China's "territorial sovereignty and marine rights" in the seas would not be affected by The Hague's verdict.